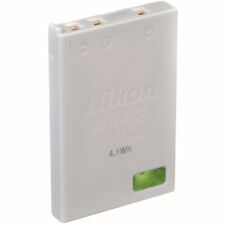 Suitable with all Nikon COOLPIX models which currently use the EN-EL5 battery. Nikon is the world leader in digital imaging, precision optics and photo imaging technology and is globally recognised for setting new standards in product design and performance. Nikon D600 / D800 / D800E / D7000 / V1 And more. Suitable For. Fit to the device models:NIKON 1 V1, Coolpix D7000, D600. Compatible with the battery part numbers:EN-EL15. Nikon D850 D7500 D750 D810 D7200 D7000 D7100 V1 D600 D610 D800 D800E D500 MB-D12,MB-D15 . 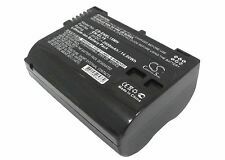 Genuine Nikon EN-EL15a Battery. 1 x Nikon EN-EL15a Li-ion Battery. 1 Year Warranty ! D810 D800 D800E D750 D610 D600 D7000 D7100 D7200 V1 MB-D11/D12. Type: Li-ion. Fits:Nikon D500, D600, D610, D800, D800E, D810, D810A, D7000, D7100, D7200, 1 V1. Replaces:Nikon EN-EL15. Each battery has a 3-year limited warranty, protecting you whatever happens. Nikon DSLR D800E. Nikon DSLR D610. Nikon DSLR D800. Nikon DSLR D600. Nikon DSLR D600E. Nikon DSLR D7000. Nikon DSLR V1. It is original Genuine NIKON Battery ,Price is for 1 battery. Genuine Original NIKON. Condition: Used Perfect Working ,in Good Condition . Nikon DSLR D800E. Capacity: 1900mAh. Nikon DSLR D7000. Nikon DSLR D800. Nikon DSLR D600. Nikon DSLR D600E. Nikon DSLR D610. Nikon DSLR V1. Nikon DSLR D800E. Nikon DSLR D7000. Nikon DSLR D800. Nikon DSLR D600. Nikon DSLR V1. Nikon DSLR D600E. Nikon DSLR D610. Compatible with Battery EN-EL15 EN-EL15A for Nikon 1 V1 D500 D600 D610 D750 D800 D810. Original Green Cell® Battery. Green Cell®. The technology of the battery does not differ from the original. Set of protections. Fit to the device models:NIKON Coolpix D7000, D800, Digital SLR D800, D800E, 1 V1, MB-D12. Compatible with the battery part numbers:EN-EL15. Fit to the device models:NIKON 1 V1, Coolpix D7000, D600. RoHS Approved for toxic free. Compatible with the battery part numbers:EN-EL15. We appreciate the opportunity to resolve any problems. D810 D800 D800E D750 D610 D600 D7000 D7100 D7200 V1 MB-D11/D12. 1x Battery EN-EL15 for Nikon. Type: Li-ion. D810 D800 D800E D750 D610 D600 D7000 D7100 D7200 V1 MB-D11/D12. 1x Battery EN-EL15 for Nikon. NEW Original Niko EN-EL15A Battery For D850 D7500 D750 D810 D7200 D7000 D7100. Nikon D850 D7500 D750 D810 D7200 D7000 D7100 V1 D600 D610 D800 D800E D500 ect. 1 x Nikon EN-EL15a battery. Battery : EN-EL15a. Nikon EN-EL15 EN-EL15A Li-ion Battery. Compatible Battery Models INPUT: AC 100 ~ 240V, 50 ~ 60Hz 21VA (100V) – 28VA (240V). Compatible Model Nikon D7000. Battery Technology Li-ion. Chemical Composition Li-Ion. It is manufactured using high quality components such as Grade A cells, which ensure great performance, long life and safety. Inbuilt into each Dot.Foto battery is a safety system which gives short circuit protection and prevents the battery from overheating. Compatible with the Nikon D700, D7100, D7200 and D7500. Compatible with the Nikon D800, D800E, D810 and D810A. Genuine Nikon EN-EL15 Battery. Compatible with the Nikon D600, D610 and D500. Compatible with the Nikon 1 model V1, V2 and V3. Hi Capacity 2500mAh 2-Pcs EN-EL15 Li-Ion Battery For Nikon D7500 D500. Capacity 2500 mAh. Fully compatible with EN-EL15 Lithium-Ion Battery. Decoded for Flawless Performance. Warranty : 1 Year Manufacturer's Warranty. Compatible with: Nikon 1 Series V1 / Nikon D500, D600, D610, D750, D800, D800E, D810, D850, D7000, D7100, D7200, D7500. It is manufactured using high quality components such as Grade A cells, which ensure great performance, long life and safety. NIKON 1 V1. Compatible Battery: EN-EL15 EN-EL15a EN-EL15B. Capacity: 2550mAh. For Nikon DSLR D600 D610 D800 D800E D810 D750 D7000 D7100 V1 Battery. Battery Type: Li-ion. 1 x EN-EL15 battery. There are NO EXCEPTIONS! Model: Nikon (EN-EL15). Superior pure copper, more conductive, stable current transmission. Long-lasting battery life allows you to stop worrying about power. Rated capacity: 1300/1600/2700mAh. Item type:EN-EL15 battery. Compatible model：Nikon D850/810/800/750/500/7500/7200/610. Battery capacity: 1900mAh. Type: lithium battery. It is powered from USB sources using the included cable and has dual slots for simultaneously charging yourNikon EN-EL15 batteries. LED indicator lights display the charging status, so you know when they are ready for action. Compatible with Battery EN-EL15 for Nikon D600 D610 D750 D800 D850 D7100 D7200 D7500. Original Green Cell® Battery. Green Cell®. The technology of the battery does not differ from the original. Set of protections. Compatible with: Nikon D500, D600, D610, D750, D800, D800E, D810, D850, D7000, D7100, D7200, D7500, V1. The battery is produced using high quality components such as Grade A cells, which ensure great performance and long life. Genuine Original Nikon EN-EL15 Battery For D850 D7500D750 D810 D7200 D7000 D7100. Condition is New. Dispatched with Royal Mail 1st Class. Nikon D600 / D800 / D800E / D7000 / V1 And more. 1 x Genuine Nikon EN-EL15 Li-ion Battery. Product Details.